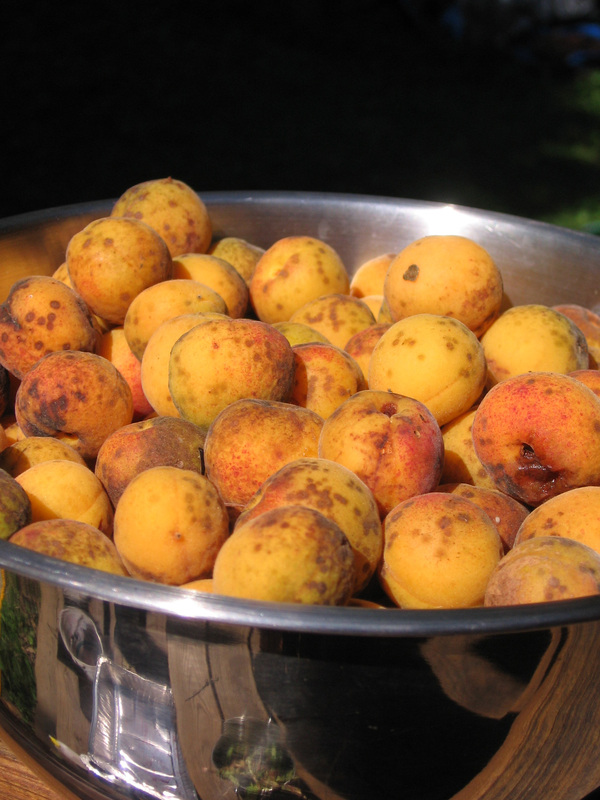 Today I picked up apricots from my friend’s tree. I didn’t pick them off of the tree, but from the ground. Little apricots, that are a bit spotty, but absolutely delicious! They are abundant, like little quail sized easter eggs, all over.. I brought the little speckled fruits home, and sat on my porch to pit them. Today was a perfect day to sit outside. 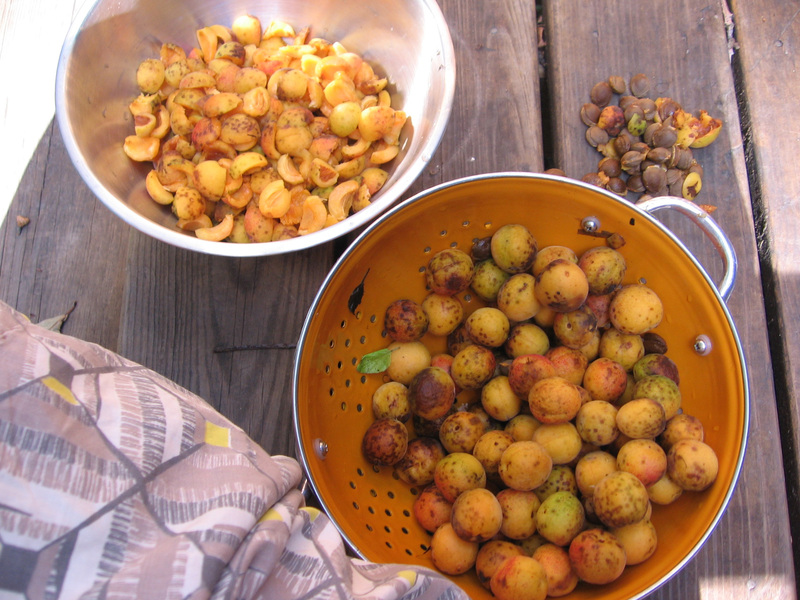 Sunny breezy, and only a few bugs…after the apricots were pitted I covered them in sugar and a little lemon juice. The power went out, so I couldn’t finish making the jam, but it doesn’t hurt to have the fruit sit in sugar for a bit. A few hours later, I turned on the heat, cooked the apricots, washed my jars, and heated my water for a hot water bath. 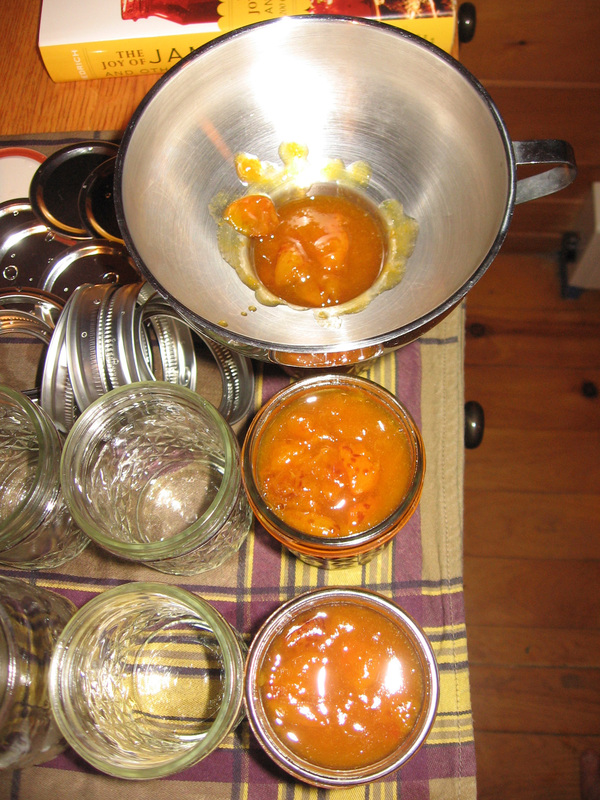 The usual steps for jam, with a kitchen full of sweet apricots. The finished jam was thicker than I expected it to be, and some of the cute little spots on the skin still showed up. And I have already had a huge spoonful of jam in my yogurt!